Become a member and get a lifetime discount! the modern treatment for the face and body! New Range of Anti Aging creams! for energy, weight loss, antioxidation, concentration! Green, Red, White and Black Tea! with anti-wrinkle properties and UV filters! your chance to change your life, it's here! WELCOME TO FM GROUP GLOBAL TEAM - Join us to ensure your success! 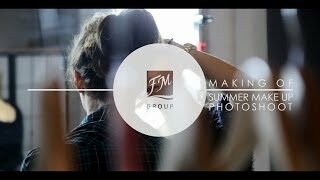 FM GROUP is a very fast growing company in the perfume market. It has been created by young people, which is why we are able to respond to needs and wishes of our customers and distributors quickly. We offer you large range of fragrances of all types: fresh, flowery, oriental, woody, fruity and many more. We would like our distributors to also become pioneers of our company by developing their Multi Level Marketing structures. We invite you to co-operate and become involved in creating the power of our company. Fact #1 85% of designer perfumes are made by the same company that supplies us with our ingredients in Europe. Fact #2 is that our perfume is graded higher. So if you have been settling for Eau de Toilette all your life and have been paying hundreds, you can now enjoy the scent that you deserve and upgrade to a more concentrated fragrance and pay less. This is the wonderful offer that FM is giving the world! Why to Join FM Group? THE FM GROUP BUSINESS OPPORTUNITY – You can start your own business with the world’s fastest growing perfume company that has expanded into more than 50 countries. FM is a world-wide company that lets you start your business from almost anywhere in the world. Start making money immediately plus have the opportunity to qualify for a share of up to 12.5% of the company worldwide turnover every month. The FM GROUP is a cosmetic business opportunity that has proved that it can help you change your life, either working at it part time or going for it full time. Many people are becoming successful, some of them did not expect the success that the FM Group cosmetic business has brought their way, yet some started the business as a way to earn just a few extra hundred USD, to pay for a holiday or bills and it ended up being their biggest source of income. The thing is they understood what many people do mis, they saw cosmetic business as an opportunity for their success and a way of saving money, and decided to join in and help others enjoy the benefits that were brought to them by the FM Group. Join FM GROUP Global Team, FM Group offers a business opportunity with a low start-up cost. The start-up cost is simply the cost of sample perfumes and no membership fees. Don’t Miss Out On A Better Lifestyle Simply Because You Don’t Know About the Exciting FM Opportunity! The FM Group is looking for people who want more from life, more control, more free time, more than just making a living! People, maybe just like you, who are willing to learn a new way of doing things, who are ready to explore their abilities and to reach out for new horizons. Whatever your priority the FM Group business can provide you with a realistic opportunity to achieve your personal and financial goals. The facts are that our business is in the incredibly fast growing industry of Perfumes & Cosmetics and that our high quality, low priced exclusive European products guarantee you the perfect opportunity to have great success and many happy customers. Our unique marketing plan also distinguishes the FM Group from other similar companies by providing achievable and generous rewards for our people, as a member you will get 30% discount in our branches worldwide, up to 65% profit on sales, up to 21% commission from your team sales, FM Group share in up to 12.5% of worldwide turnover plus benefit from our generous car program. Don’t let this opportunity pass you by. Remember, your success depends only on you! We can only show you a way to get there! The Dry and Damaged Shampoo and Conditioner is fantastic. My hairdresser has even commented on how good the condition and shine is and wants to try it. I am the type that thinks more is better when it comes to the amount of conditioner I put on. Each time I use it I use less and less for the same result. Love it ! Love it! Love it!. A very profitable business with an amazing experience!. In the beginning the first time I attended FM Group orientation, I was not really interested.. But when i tried the perfumes, I changed my mind totally! I discouvered FM is really amazing and lasts for a very very long time! on top of it with a very competitive price! I started marketing the product with my own customers and it all started there.. So here we go, a profitable business with an amazing experience! Now I am only doing FM and I wanna focus on this great business! First Jasper Star Achiever earning over £45,000 in one month! I have achieved the first Jasper Star qualification in the World with all of your help and support. That is over £45,000 in ONE MONTH! Thank you so much for all of your smart work and commitment to our business! I WILL SEE YOU ALL AT THE TOP! Together there is no limit to our success! My advice is simply to speak up. I have shared my enthusiasm about FM with total strangers over the past years whenever I have gone. This is the secret to my success. MLM is in all actuality, a simple business. Share the joy and opportunity that is FM GROUP. I am dedicated to achieving my dreams and helping others achieve their dreams. I love FM Make-Up Advanced Foundation. It is the best foundation I ever tried, I love it's texture, it is very easy and comfortable to get it on and it smells gorgeous! I know quite a few FM distributors, who use FM Advanced Foundation and love it the same way I do. There are some professional beauticians, who switched their usual over-priced foundation to FM one and compares it to the highest quality make up products in the world! In the past I have tried a couple of home based businesses, but had no success. I am amazed at how well I am doing with FM. Christmas 2012 was the first in years that I wasn’t worrying about how I was going to pay for it because FM paid for it! The greatest part about FM is that I have shared the opportunity to others who are now on their own journey with FM. This is an incredible company with a huge future and I am 100% positive that this is the best opportunity available out there! The people and support have always been amazing and I look forward to my many years with FM GROUP. After 5 years as a Sales Leader with Avon, I looked into FM as I kept seeing posts on Facebook of success stories and people receiving cars and holidays so I decided to give it a go and now have a team of over 120 reps in just over 2 months, with FM I believe everything is possible and I am totally loving every minute of it !!! When I have started working with FM GROUP my dream become true. I work with people I want, with my family and my close friends. This international business gave me the opportunity to communicate in my mother tongue, because the biggest part of my FM team is in Lithuania. I have reached the Golden Orchid and my passive income is a lot of bigger it was when at the time I was working in a job! I joined FM GROUP in October 2011 as my partner was made redundant. I wanted to help the family by earning an additional income and I love it. FM has really changed my life. I recommend it to anyone! This is NOT the official website of FM GROUP. This website belongs to independent business partners of FM WORLD.